Staying Power – Many might wonder whether Patricia de Lille, approaching 70, and with nary an ideological wobble, can really reinvent herself for a fourth time. Where on earth could a public discussion on the challenges facing South Africa be dubbed ‘an evening of light relief’? Last Thursday in Brexit-obsessed London that was how I dubbed an evening event I facilitated featuring three eminent and staunch supporters of our country’s democratic journey and its hopes of economic recovery. This was the same day as British Prime Minister Theresa May faced a three hour grilling in the House of Commons. And that was just hours after losing two key cabinet ministers, over the onerous terms and difficult conditions she signed off on to exit the European Union on 29 March 2019. The South Africa event organised by K2 Intelligence (disclosure: I am a senior advisor to the firm) did indeed provide a welcome distraction for key members of the audience who now contemplate the unfathomable complexity of untangling the world’s fifth largest economy from a trading bloc in which the UK has been enmeshed for nearly fifty years. I mentioned that one of the key speakers that evening, Lord Peter Hain, had made history when at the tender age of 19, back in 1970, when he led the campaign against the Springbok rugby tour of Britain. This in turn would be the opening page on the chapter of isolation which soon enough engulfed most sporting codes in South Africa. But I thought it fair to mention, as well, that my class of 12 year olds in Durban at the time, did not then have a full appreciation for his campaign, since most of us regarded the Bok captain of the day, Dawie de Villiers, as a sort of living God. Of course in a further and later irony, De Villiers as a National Party cabinet minister became a voice for the reform of apartheid and at Codesa, he and Joe Slovo of the ANC both managed, as joint chairmen of the plenary sessions, to defuse the dramatic tensions embedded in those high-wire negotiations. Hain, in his own account, mentioned last week that he had a ‘natural and well known sympathy’ for the governing ANC, which is well known. This did not prevent him, from his current perch at the House of Lords, being front and centre of exposing the state of capture of the Zuma years and some of the international firms which enabled it. But Hain, in his remarks, also drew attention to what he regarded as one of the most significant events in this country’s democratic evolution. He referred to the August 2018 municipal elections as a key moment when the ANC lost control of Port Elizabeth, Pretoria and Johannesburg. The opposition success was essential evidence that the democratic checks and balances were in working order, and emboldened the push back against the architect of the ANC decline, Jacob Zuma. Just three days after Hain’s acknowledgement of the corrective medicine which strengthened opposition can deliver to a country then on political and economic life-support, one of the major figures from 2016 elections turned her back on the project. Patricia de Lille, following her acrimonious exit from the mayoralty of Cape Town, announced she was forming a new party. Whatever the motives and merits of her latest move, she kicked away the Democratic Alliance, the political ladder which lifted her to prominence as first citizen of Cape Town. De Lille, whom I first encountered, alongside De Villiers and Slovo and other stars of the constitutional negotiations way back in 1991, is about to launch a yet unnamed party, her fourth political home in just 24 years. She talked on Sunday in vague terms of ‘doing good’, ‘empowering citizens’, and other clichés from the political playbook. And she declared her ambition to create a national movement in all nine provinces. 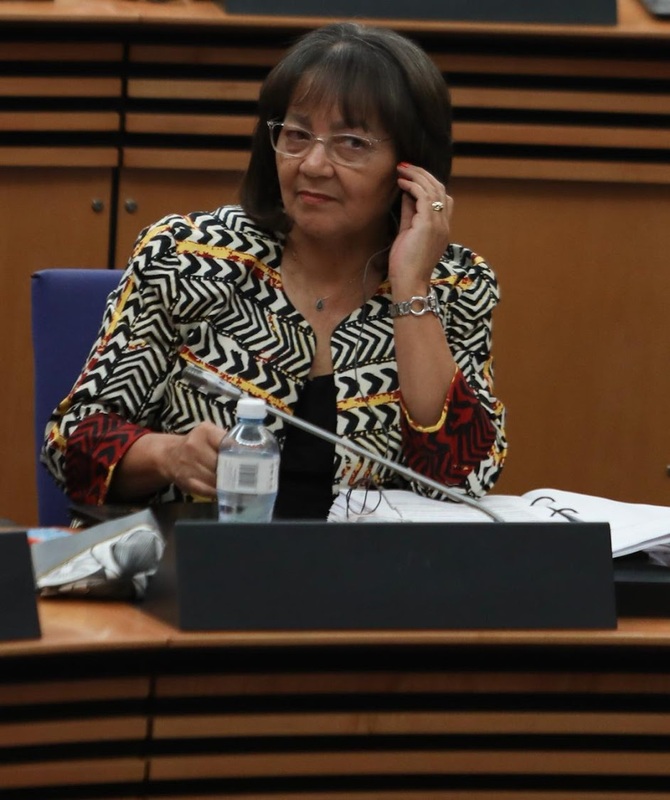 But in the harsher world of political reality, de Lille’s one sphere of influence will be in the one province which, prior to last Sunday, the Democratic Alliance presumed it had in the electoral bank: the Western Cape. Even here, de Lille’s support is probably fairly modest. But she will, whether deliberately or otherwise, create at least the possibility of handing over the only province outside the dominance of the governing party, to the ANC. For that largely negative reason, jaded and even disillusioned DA supporters are likely to troop out to stop her. Precisely if the DA does what the party did when Marthinus van Schalkwyk also ditched the opposition and resurrected his New National Party. Allegedly his move in the 2004 election was to provide a ‘constructive opposition platform’. In reality, it was intended to provide a back door entry for the ANC to take over the Western Cape. The DA had a simple slogan then: “ NNP =ANC”. But while this depressed the NNP vote, it eaked out enough votes on the Cape Flats to hand the province to the ANC. Van Schalkwyk, a forgotten figure today, earned the undying enmity of his former supporters. But he was rewarded with a cabinet post by the ANC. 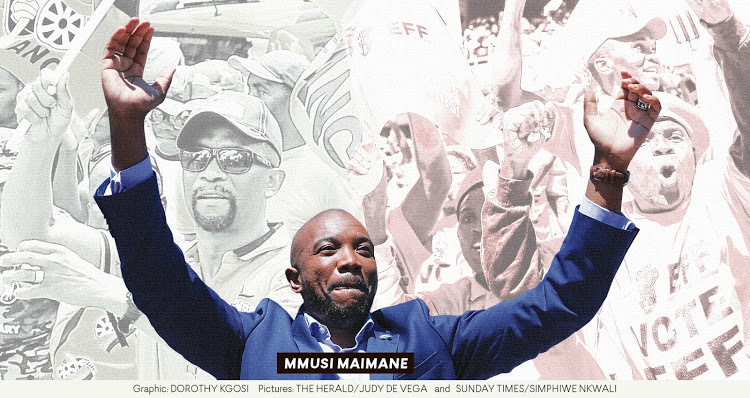 And certainly, the prospect of the DA fighting a two-front war in the Western Cape –against both de Lille and the ANC –is not the winning ground the party would have chosen in the run up to 2019. But, like Theresa May who has to fight her Brexit battles on less than three fronts ( in her party, in her parliament and with her EU interlocutors), you don’t often get to choose your opponents or the terrain in politics. 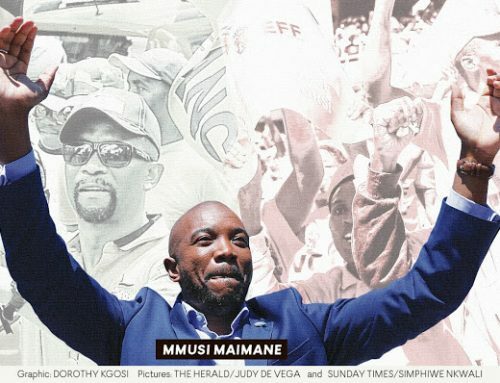 Certainly for the DA which really hoped in 2019 to replicate its trifecta of wins from 2016, the already complicated post-Zuma map has become even more difficult. But De Lille, whatever she proclaims, has some history in regard to her ultimate intentions. In 2006, when she portrayed her Independent Democrats as the lynchpin of a new opposition project, she was publicly coy about her intentions in Cape Town where a fierce local battle raged between the DA and ANC for control of the City. De Lille declined to indicate which of the two parties she would back in the event neither won outright control. And when indeed neither did, de Lille voted with the ANC against a ramshackle but winning coalition which Mayor Helen Zille managed to assemble. Many might wonder whether de Lille, approaching 70, and with nary an ideological wobble, can really reinvent herself fourth time around. But for the ANC, just as the splinter movement from the Inkatha Freedom Party (IFP) the National Freedom Party, launched in 2011, helped hand over control of a number of municipalities in KZN to the ANC, de Lille’s move will be very welcome. But whether the doughty opposition voters of the Western Cape will extend her a hand of support or their votes must be open to serious question.